We have a vast selection of floor coverings to fit any situation you require. Our designers and sales staff will show the multitude of options and advise you for that perfect match. Stop in our showroom in Savage to see for yourself! Our design and sales professionals will illustrate how our installation requirements and setting materials are superior to our competition. There many accessory parts and pieces to make sure the final product is one that you can be proud of for all of the many years to come. Our estimators will ensure accuracy in ordering the right material for the right situation. 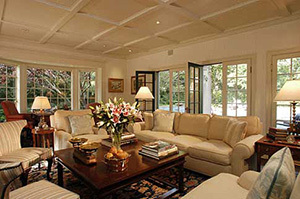 At Thoroughbred Carpets, we have interior designers on-site at the Savage location. We can save you money by obviating the need to hire a designer. Decorators truly serve a purpose for everyone. Whether you have no idea where or how to begin to decorate your home, or whether you have an idea but need help tying pieces together, or you simply haven’t the time to execute your style and desires due to your busy day to day schedule. Using our designers can help you to avoid costly mistakes that will not only help you save money but can increase the value of your home. Especially when selling your home – interior design is essential when listing your home. It can help boost buyer appeal and set your home above the competition. A designer can give you a professional assessment of your situation, that will will lead to a solid plan of action. The order of things in a design plan is key in determining what can be repurposed or should be edited. This will not only effect the budget but help you to spend it more efficiently. Our designers offer an extra set of eyes, but these eyes are trained to see and notice things that you may not. Is there any other aspect of your floor project more important than installation? The finest products available will do little for the appearance of your floor without correct and skilled installation. At Thoroughbred we understand the importance of skilled installation. For this reason we employ only the regions’ finest installation teams, with a proven track record in craftsmanship, attention to detail, cleanliness, and efficiency. Thoroughbred’s installers have a passion for detail and expertise that cannot be matched. Years of real-life training on the job, apprenticeships and many hours of formal classroom training keeps Thoroughbred’s installers on the cutting edge of the best methods in the industry. 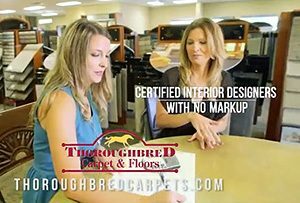 Our customers deserve the highest grade installation and they get just that at Thoroughbred Carpets! 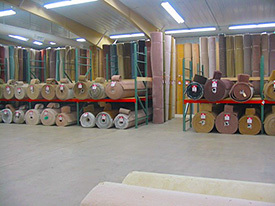 At Thoroughbread Carpet, we have the biggest selection of stock rolls and remnants in the area. Offering all different price points. Stop in today to see for yourself!